Huawei on Tuesday unveiled the Mate 20 series, phones that are well ahead of any 2018 Android flagship. As leaks have revealed in the past couple of months, the new Mate 20 phones will offer features that won’t be available on other Android flagships for at least five more months. Huawei’s Mate 20 phones have instantly become the best iPhone XS rivals out there, at least on paper, and the high-end model is easily the most beastly Android phone the world has seen so far. The Huawei Mate 20 and Mate 20 Pro look just like they did in all the leaks. 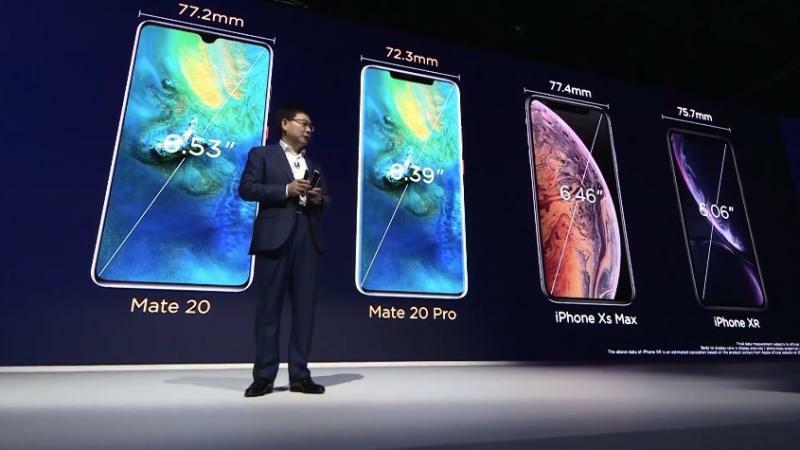 The regular Mate 20 has a flat screen and a teardrop notch, while the Mate 20 Pro features an iPhone X-like notch (complete with 3D face recognition similar to Face ID) and curved screens like Samsung’s Galaxy S and Note phones. The phones also pack an in-display fingerprint sensor that’s supposedly 10% faster than other sensors, as well as a USB-C port that doubles as a bottom speaker. There’s no 3.5mm headphone jack on either model, and the phones have IP68 (Mate 20 Pro), and IP53 (Mate 20) ratings. The Mate 20 Pro has a 6.4-inch curved OLED screen with 3120 x 1440 resolution, 19.5:9 aspect ratio and 86.90% screen-to-body ratio. Meanwhile, the Mate 20 features a 6.5-inch LCD screen with 2244 x 1080 resolution, 18.7:9 aspect ratio and 88.08% screen-to-body ratio. Huawei insisted on stage that its Mate 20 phones are the best phones out there when it comes to processor and RAM speed, Wi-Fi downloads, GPS accuracy, camera performance, and battery performance. The phones sport the first 7nm processor among Android devices, the Kirin 980 that was unveiled at IFA earlier this year. Other specs include 6GB or 8GB of LPDDR4X RAM (Mate 20 Pro), 4GB of 6GB of RAM (Mate 20), 128GB of storage, Cat. 21 LTE support (1.4Gbps), and faster Wi-Fi. The Mate 20 packs a 4,000 mAh battery while the Mate 20 Pro has a 4,200 mAh battery. The Mate 20 Pro supports 40W fast wired charging (up to 70% charge in 30 minutes) while the Mate 20 supports 22W fast wired charging, and both models support 15W fast wireless charging. Also interesting is the fact that Huawei’s phones are the first in the world that can be used to charge wirelessly accessories like headphones and other smartphones. 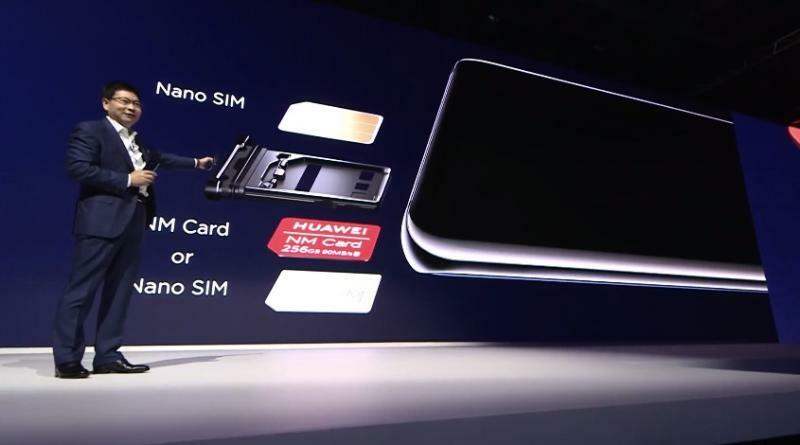 Both phones come with a new SIM tray that supports two SIM cards, or a SIM card and Huawei’s new nano-memory storage card that goes up to 256GB. Both handsets feature triple-lens cameras but the one on the Mate 20 Pro is better. The Mate 20 features 16-megapixel ultra wide angle, 12-megapixel, wide angle, and 8-megapixel telephoto sensors. The Mate 20 Pro, meanwhile, has a 40-megapixel wide angle, 20-megapixel super wide angle, and 8-megapixel telephoto lenses. On the front, there’s a 24-megapixel sensor on the Mate 20 Pro alongside the components that enable 3D Face Unlock, 3D Live Emoji, and 3D object scanning. Just as with the previous model, the Mate 20 phones will offer plenty of AI-enhanced shooting modes, including real-time video editing and special effects. The Huawei Mate 20 and Mate 20 Pro will both launch with Android 9.0 Pie on board, although you’ll find Huawei’s EMUI 9.0 on top of it. The Mate 20 Pro will start at €1,049 ($1,217) in Europe, which is cheaper than the iPhone XS in the region but on par with Samsung’s Galaxy Note 9. The Mate 20 starts at €799 ($927), and goes up to €849 ($985) if you want more RAM.